Look at the clock: 11:35. Drag the bird down to reveal the safe. Enter 1135 into the safe. 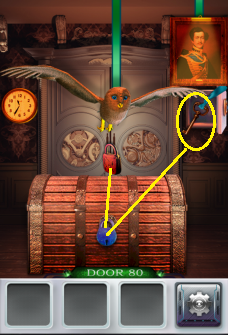 Take the blue key and open the chest. 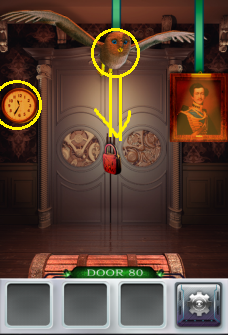 Take the red key and open the door.